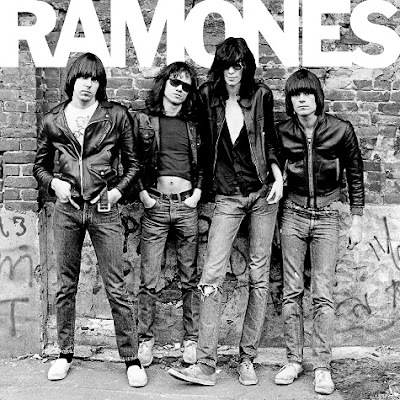 This spring marked the 40th anniversary of the release of The Ramones' debut self-titled album. To celebrate the milestone, Rhino is releasing a limited edition Ramones 3CD/1LP boxset on July 29th. The cd portion of the collection includes the album's original material ("superior new stereo version and mono mix" by Craig Leon, original producer and mixer of Ramones), single mixes, outtakes, demos, and two full live concert recordings captured in August 1976; the new mono mix of Ramones is also provided on vinyl. Ramones: 40th Anniversary Deluxe Edition is packaged with a hardcover book featuring pictures, essays and Leon's extensive production notes about the recording of the album. The set is limited to 19,760 copies and is available to pre-order from the official Ramones webstore.